Silicone inks, printing inks, & supplies | Boston Industrial Solutions, Inc.
Boston Industrial Solutions, Inc. offers silicone inks (SE™ & DC™ ) for pad and screen printing on any silicone rubber product. To complement our inks, we offer a wide range of services; from custom color matching to training, to technical support, and more. We've got your back! Every product is inspected to make sure that you get the right product every-time. Boston Industrial Solutions offers a wide range of services for your industrial printing needs. We offer free complementary ink adhesion test for any silicone products. Our team enjoys the challenge of solving difficult printing problems. We can send the right people, skills and technologies to help you improve your printing. We offer our services anywhere in the world. We leverage technology to reach and deliver effective solutions to any customer worldwide. We have lab dedicated to provide our customers with FREE silicone ink adhesion Testing. Do you have an item that you are finding it challenging to print? Do you have a product that you are not sure if it is a silicone product? Send it to us. At Boston Industrial Solutions, Inc. we offer precise and prompt color match services to all customers. We have a 24-hour turn around for all ink color matching after receipt of your color number or imprinted product. 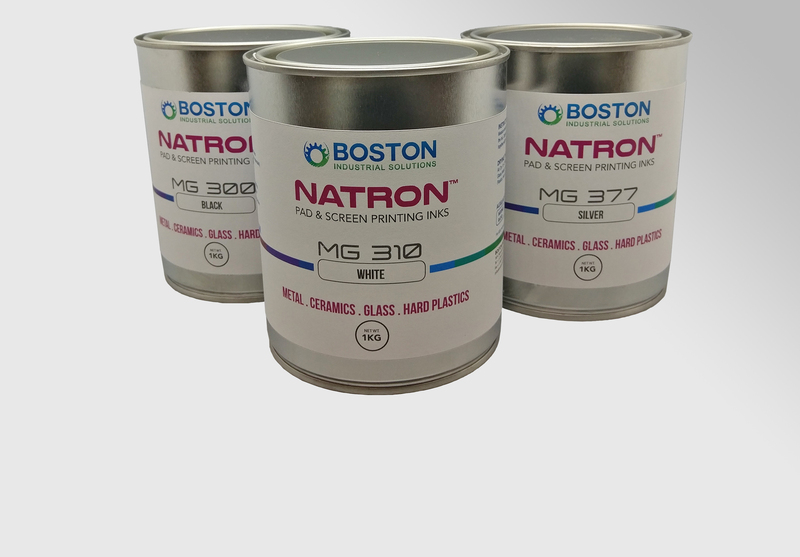 Introducing Natron™ SilTex™ silicone inks for screen printing — a two component silicone ink for screen printing on any type of textile. These new silicone inks for screen printing on textiles are ideal for Direct printing, Transfer printing, and 3D printing. Continue reading to find out more.